Ohio governor candidates Democratic Richard Cordray and Republican Mike DeWine speak to reporters following their third debate at Cleveland State University. 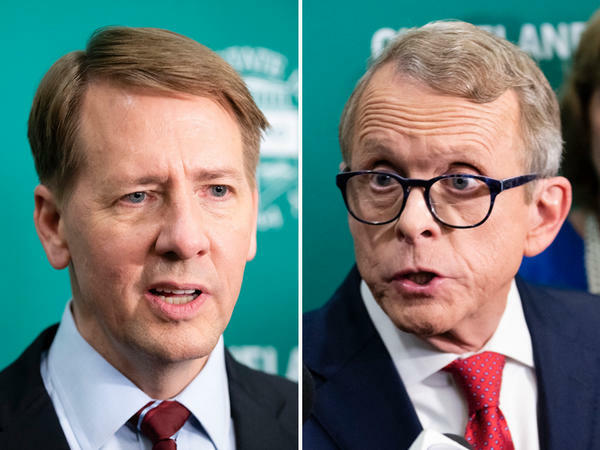 Richard Cordray and Mike DeWine tussled over healthcare, drug sentencing laws and support for local government in their third gubernatorial debate Monday night. DeWine, Ohio’s Republican attorney general, criticized Cordray for supporting Issue 1, which would reduce penalties for drug possession. 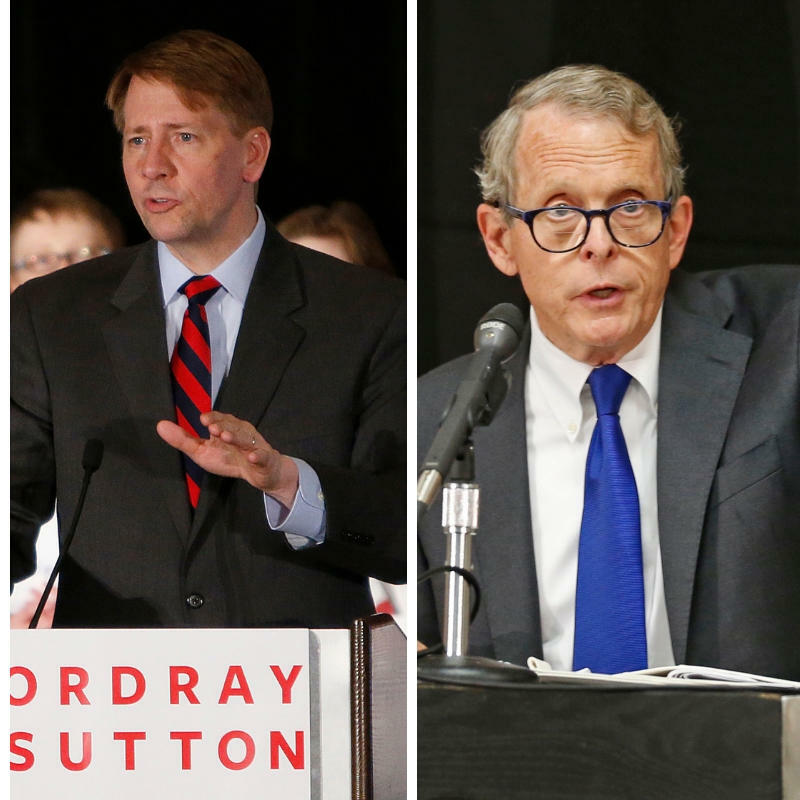 Cordray, the Democratic candidate and former Consumer Financial Protection Bureau director, assailed DeWine for suing to block the Affordable Care Act. But the two men also found a couple of areas of agreement, saying students face too many standardized tests and pledging to increase state support for early childhood education. 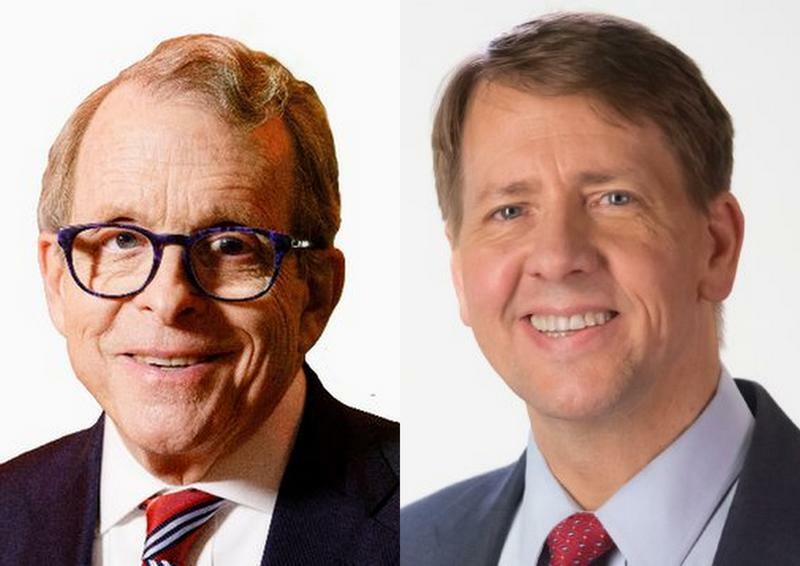 DeWine portrayed Cordray as “isolated” in his support for Issue 1, which the attorney general called a “total disaster.” Cordray replied that he saw the proposed constitutional amendment as one possible route for criminal justice reform, but not the only one. Cordray said DeWine’s lawsuit against the Affordable Care Act, if successful, would have rendered useless the government’s rules against denying insurance to people with pre-existing conditions. DeWine argued that he did support coverage for pre-existing conditions—but not the Affordable Care Act. Asked about Ohio’s abundant rainy-day fund, DeWine acknowledged complaints from local governments that state cuts had hurt them. But the attorney general stopped short of saying he would restore the assistance that the Kasich administration had reduced. Cordray reiterated a long-made Democratic promise to reverse the cuts. The debate moderators also asked the candidates about an issue that’s weighed on Cleveland in recent years: public transportation. The Greater Cleveland Regional Transit Authority has been struggling with financial problems, and officials in Northeast Ohio have often urged the state to give transit more money. DeWine said he would listen to local officials. Cordray promoted an infrastructure plan. The Green and Libertarian parties protested their exclusion from the debate stage in Cleveland. Brett Joseph, the Green candidate for lieutenant governor, showed up at CSU’s campus with several supporters. In a brief interview, Joseph said the party was concerned about the corrosion of public discourse. 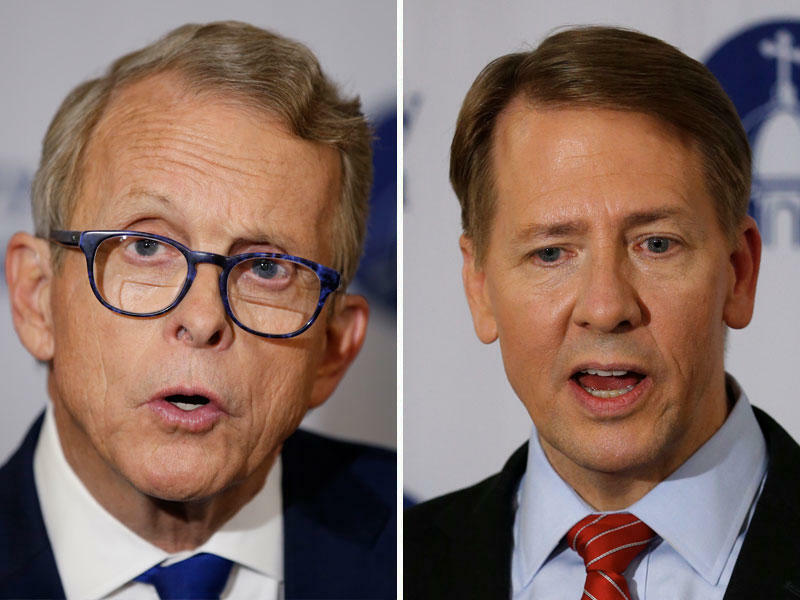 If you thought for a moment that the choice between Republican Mike DeWine and Democrat Richard Cordray for Ohio governor was a choice between Tweedle-dee and Tweedle-dum, get over it.